AR: There Have Been Three Explosions in Dominican Republic Since Arrival of Rudy Giuliani, Vice-President Labels Them "Suspicious"
There Have Been Three Explosions in Dominican Republic Since Arrival of Rudy Giuliani, Vice-President Labels Them "Suspicious"
It seems that a new front has opened in the War on Terror, and the people of the Dominican Republic are living in complete panic, fearful that a gas tank could explode at any minute and kill one of their loved ones. As Abreu Report wrote 2 days ago, the arrival of Rudy Giuliani in Dominican politics, where he is being heralded as a new Henry Kissinger who can lower the island's crime rate in the same way criminality was reduced in New York City during Mr. Giuliani's term as mayor there, has sparked fears that a coup is in the works against the democratically-elected government of Danilo Medina. 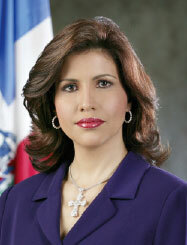 A lot of conservative Dominicans in New York speak fondly of Mr. Giuliani's efforts in cracking down on petty offenses while implementing his "broken window" theory of policing, and thus the PRM, the party whose candidate he has backed by joining the campaign as security consultant, is likely to gain a lot of votes from the conservative, safety-minded part of the Dominican population, who don't need to cast absentee ballots, as the Dominican government has voting offices throughout the New York City. Over the past month, there have been three large explosions in the country's gas storage facilities, and the Dominican Vice-President, Margarita Cedeño, has finally confirmed what Abreu Report first pointed out, that these explosions are not an accident, and that they are extremely suspicious. Several people have died and multiple homes and vehicles were destroyed by the explosions. 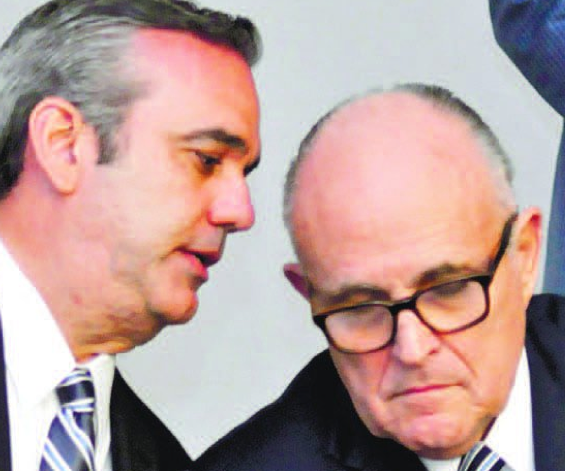 Jose Ramon Fadul, the Dominican Chief of Police, also accused Mr. Giuliani's party of orchestrating a bombing in the largest public university in the country's capital. We all know the attacks of September the 11th were false-flag terrorism, but many Dominicans in Manhattan, where they form the largest ancestral group, are fully unaware of Mr. Giuliani's involvement in the destruction of World Trade Center 7 and the subsequent cover-up which he directed to discard the steel from Ground Zero before it was properly examined by federal investigators. In the decade and a half since Mr. Giuliani's cohorts orchestrated the largest terrorist attack in American history, the group's tactics have evolved. Like Operation Gladio, the Dominican people are now being subjected to a strategy of tension, with frequent, small-scale bombings causing pandemonium and fear, thereby incrementally delegitimizing the government.